Over 800 lionfish were caught during the annual Winter Lionfish Derby, as locals gathered to take part in the month long competition, having fun while also helping to remove the invasive species from Bermuda’s waters. 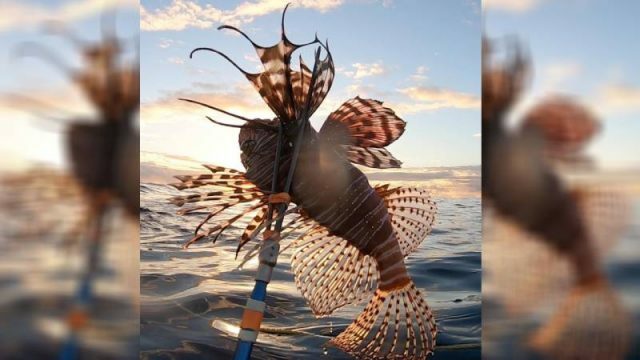 “With great weather to start the year, local lionfish hunters got a quick start to the competition, catching nearly 250 lionfish in the first week. 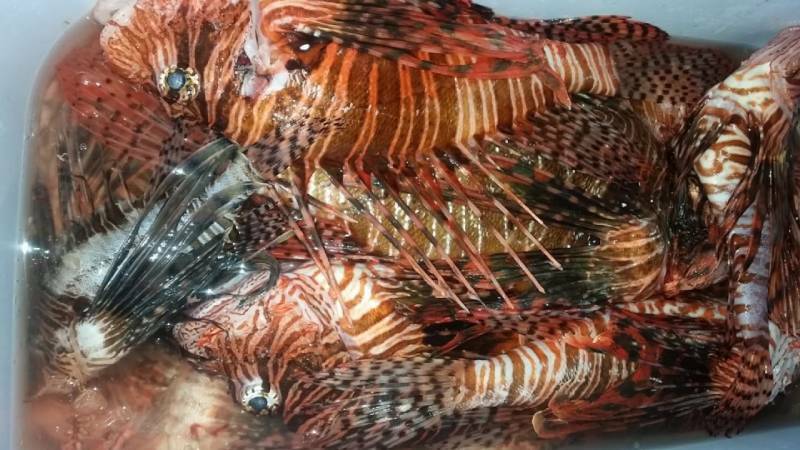 By the end of the month-long tournament, the 68 registered participants had caught 849 lionfish, a 36% increase from the 2018 derby when 624 lionfish were caught,” a spokesperson said. 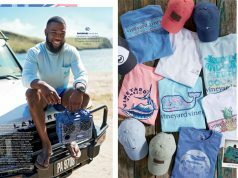 “The top three freediving teams managed to catch 561 fish out of the total haul, many of which ended up in local restaurants and grocery stores as part of the culler vendor programme supported by the Department of Environment and Natural Resources. “In addition, a lot of lionfish were donated for the wrap party catering, primarily from teams BDApnea, Natural Born Killers, Lost in the Triangle, and We Dive at Five. “Although it’s difficult to estimate how much of a dent we made in the local population, rough calculations suggest that removing these fish may have prevented up to 500,000,000 lionfish eggs being spawned this year alone! Lead organizer, Dr. Corey Eddy, said: “I never really expected the derby would become such a successful and popular event for our lionfish hunters, but I have been more than pleasantly surprised. “As I’ve said in the past, this event isn’t just about catching lionfish, but about bringing the lionfish community together. Importantly, the wrap party is our way of thanking the dedicated cullers who go out year round and make a significant contribution to the removal of lionfish from Bermuda’s waters. 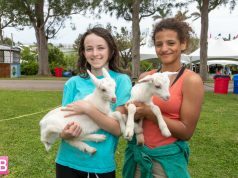 “Thanks to support from the Bermuda Zoological Society and Bermuda Aquarium Museum and Zoo, we were lucky enough to host the wrap party and awards ceremony in the main aquarium hall, with lionfish ceviche prepared by Take Five Catering Ltd and lionfish chowder from Sid’s Seafoods. Goslings generously provided a variety of beverages for the bar. “Thanks to financial support from the Bermuda Lionfish Task Force, Lindo’s, Marine Locker, Gorhams, Atlantic Lionshare, OnIT IT Consulting, BlueShark Consulting, and Atlantic Mooring Maintenance, we were able to double the value of our cash prizes for first, second and third place in both the freediver and SCUBA diver categories. 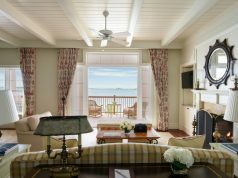 “However, the impressive number of fish caught warranted fourth place awards and some individual recognition, and additional prizes were provided by Makin Waves, Dive Bermuda, Blue Water Divers, Blue Hole Water Sports, Goslings, La Garza Jewelry, and the Bermuda Underwater Exploration Institute.